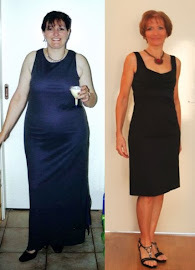 FitBody Fifty: Well, about time! I must have nagged her enough, because Miss Shelley has started a blog. This girl has achieved some pretty amazing things over the past year and half, and I'm really proud of her for the way she pushed aside her self-doubts and stepped a loooong way outside her comfort zone to get to where she is today. Go say hi to her in your best bloggerly style!